Oakthorpe has been overrun by … penguins!! 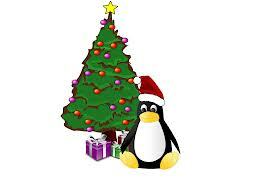 The whole school are going to be learning about penguins up to Christmas! 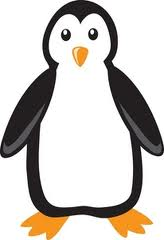 We will be researching penguins, making models of penguins, painting penguins and solving Maths problems with penguins! On the last day of term we will be having our Penguin Pandemonium Party!! Use the blog to tell everyone at school what you have found out about penguins and all the learning you have been doing. 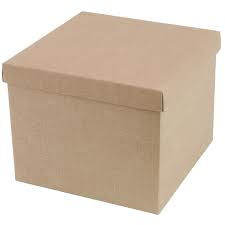 On the 1st January the Brown family received a box from the postman. Everyday for the next year, the family received a similar box with a penguin inside! On what day did they receive the 100th penguin? On 28th January, how could they have grouped the penguins equally? On what day of the year could they group the penguins in 3 groups of 20? Have you got any other questions you could pose to the rest of the school? They received the 100th penguin on the 10th april. They could group the penguins 2×14=28, 14×2=28, 4×7=28, 7×4=28. 1st March they could group the penguins in 3 groups of 20. How did you know they could group the penguins in 3 groups of 20 on the 1st of March? Can you explain your mathematical thinking? 20×3=60 penguins. January has 31 days. February has 28 days, I added them together that gave me 59 penguins so I needed one more day to make 60 penguins so the next day was March 1st. What if it was a leap year? penguins can spen half their time under water as well on land. I can answer this question because I know that half of 10 is 5 so half of 100 is 50.Also if 5 add 5 is 10 50 add 50 will equl 100 if you know you’re 2s 3s 7s 12s even you’re 100,0s you can answer any questions. Well done Tori! I love the way you are trying to explain your mathematical thinking. Can you work out and explain how they could group 28 penguins equally? I agree Mrs Fallows good thinking Tori yes you can do them in 100’0s 2s 3s7sand 12s. I love learning about PENGUINS! So pleased Izzi – I shall be looking at all the fantastic level 5 writing you do about them! Hope you’re aiming to get some on display!! I love learning about Penguins as well because you can learn all about penguins and all of the facts. Like what they eat and what they drink. How they swim and how they eat and drink. We thought about this in class on the 100th day they received the 100th penguin on the 10th April! when a baby penguin is born ,if the egg touches the ice it cant breath and it dies quickly. Wow Ruby! I didn’t know that fact. Thank you for sharing that. On the 1st March you could group 3 groups of 20! I know this because 2X30=60 Penguins! January always has 31 days, February has 28 in a normal year. If you add 28 and 31 together you get 59 Penguins! So on the next day you would get 60 Penguins delivered which would be March 1st! Though if it was a leap year there’s another day in February so 29 days in that month. So if you add one day on to that it will actually give you 60 Penguins but then you would think about adding on another day again because first you had to add another day to get it! On a leap year its harder to understand but I get it because I have took time to figure it out !!!!! On the 100th day the 100th Penguin would arrive. That day would be April 10th! Mrs Moulds are you in school tomorrow? Because I would like to come and talk to you about my PENGUIN WORK!!! For the first question I know the day. Same it is day 100. Q1. On the 100th day the 100th Penguin will arrive. That day would be April 10th! Q2. On March 1st you could group 3 groups of 20. Because 2×30=60 I know this because I know 2×3=6 so times/x’s that by 10=60! Extremely proud of ash I am!!!!!!!!!!!!!! An amazing question I have come up with so I worked it out!………. (in class)! What if… The postman didn’t deliver on the weekend? Then I worked it out from there! I came up with what if… more than one penguin came per day? Did you know that the Daddy penguin balances it’s egg on its feet? Do you know that penguins do not have any teeth but they have spines on their tongue ? On which day would the 200th penguin arrive? July the 19th ( if it wasn’t a leap year) or July the 18th ( if it was a leap year). They could go in groups of 1, 2, 4, 5, 8, 10, 20, 25, 40, 50, 100, 200. 🙂 These are the factors of 200. How many penguins would have arrived by your birthday (not a leap year). I would have the 308th penguin on my birthday. P.S. William has an easy job now I have worked this out! I like this question. You could work out how many penguins would be in the house on the birthday of all the members of your family! There would be 60 penguins on my birthday but it would have to be a leap year. Did you know when a baby penguin is born the female passes it to the male to look after it but it doesn’t have any food until it is hatches . There was 190 on my birthday and I put them in a box. They would get the 100th penguin on 10th of april because there are 31 days in january and march and 28 in february.If you add them together it makes 90 so that leaves 10 more days. On the 28th of january they could have 4 groups of 7 because 4×7=28. 3 groups of 20 makes 60 and if you add 31 for january and 28 for february then it is 59 so you only need 1 more day which is the 1st march. You could have a group of 5 penguins after every 5 days because the number could be divided by 5. In the 1st 6 months they get 181 and in the 2nd they get 184.There are more days with 31 in the 2nd and february is shorter. On what day could the Brown family group the penguins in 3 groups of 20?? 20×3=60 60divided by 3 is 20. 31 days in January and 28 in February. 31+28=59. 59+1=60 (day60). The end of February is day 59. To get 1 more day you add 1 more day. The 1st of March. What if the post wasn’t sent on weekends? Penguins dive under water to get fish.